If you are here for the BD Comics Manga Storypad paper giveaway, (it’s great for drawing, tracing and transferring as well as Manga! ), you can find it here. 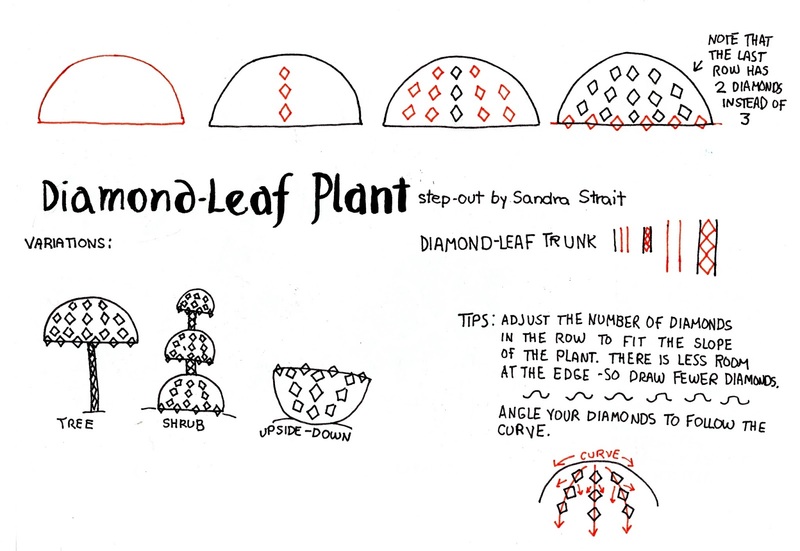 This is a fairly simple plant, and as always, variations can include the shape of the foliage, and different motif for the pattern besides diamonds and a completely different trunk. Explore, experiment and have fun with your fantasy landscape!